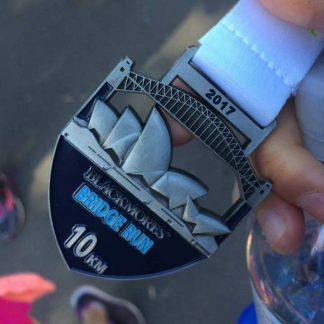 The Harbour Bridge Run to the Opera House! 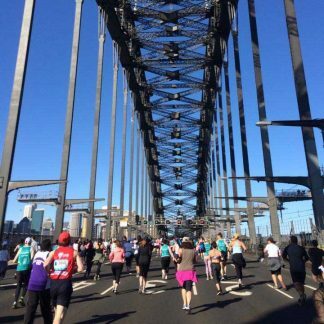 Team Miroma set out early Sunday morning to travel to Milson’s point to the start of the Bridge Run at 8am. Thankfully the windy conditions of the previous day did not greet the team as they got off the train with the throng of fellow runners. It took the same amount of time to get from the station to the start as the train trip itself, thanks to more crowd control barriers. It did the job; it created a crowd that went nowhere! Finally we’re on the main deck of the bridge. The sun is out and there is a light cool breeze blowing, the best running conditions we have ever had! The breeze picked up as we reached the midpoint of the bridge, but after that it was pleasant and a whole lot of fun. Joy was really enjoying the wonderful conditions and the magnificent views. 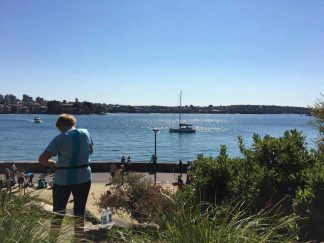 The harbour waters were sparkling and we had 5 helicopters circling around us. 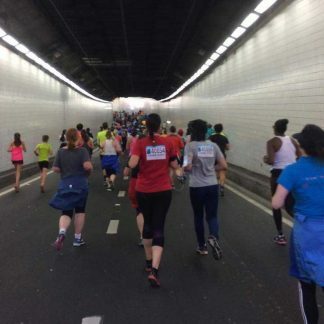 Off into the tunnel and then out on the Cahill Expressway with the fantastic views of the Opera House. We stopped at a drink stop and had a caffeine gel. Well, I’ve got to tell you, we both felt pretty good after that! Off to the Botanical Gardens area and then Hyde Park. Another caffeine gel and drink stop, before making our way down Macquarie Street to the Opera House forecourt finish. We did it! 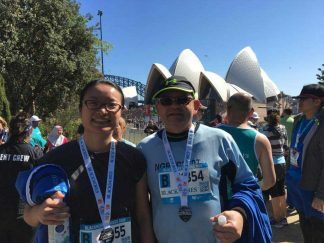 We ran the 10km which was longer than last year’s 9km run. 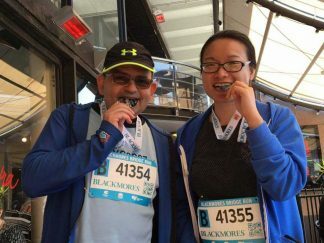 This year after being sick in hospital with pneumonia, we just wanted to have fun and finish and forget about the time. I want to thank Joy for being an amazing person, for being part of the team even though she was busy with studies. She also fit training in amongst her busy schedule as well. This run is to raise money for adults with disabilities for equipment and day programs by Inala/ Miroma. James, my son, now 20 years old, has autism and is almost non-verbal. Adults with disabilities are often forgotten and they need a lifetime of support. Raising awareness is very important. Thank you to those that have already donated. Your support is greatly appreciated. Team Miroma at the finish of the Bridge Run - Alright! On the deck	 In the tunnel	 The medal	 Checking if the medals are real	 Beautiful day! !